The original Kentucky bourbon, first produced in 1795, and still true to its origins. The historic recipe has been strictly followed for more than 200 years. 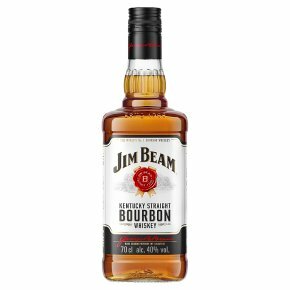 Medium-bodied and mellow, Jim Beam is matured for a minimum of four years. Enjoy it neat over ice or with a range of mixers.